It's no secret I'm a sucker for a good leather bag...so when I saw this shop mentioned in a Garden and Gun tweet yesterday, I had to delve a bit deeper to see what they were all about. 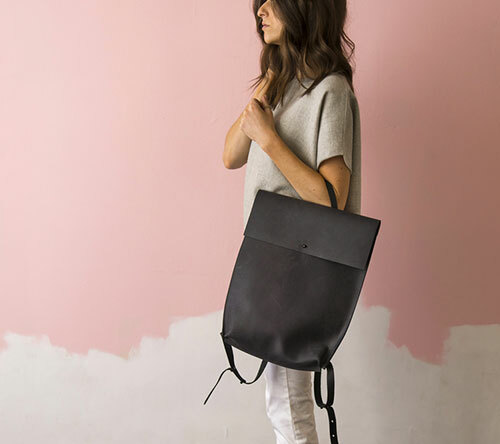 Turns out, Matine is a line of leather accessories handmade by Carolyn Misterek in Washington D.C. Carolyn has crafted about two dozen pieces to choose from and each one has a minimal, timeless feel with a good pricepoint. The Prima Tote is my favorite. I love how it can be a tote one minute and a chic clutch the next. That's my fit exactly. Check out Carolyn's entire leather shop to find your personal favorite, here.